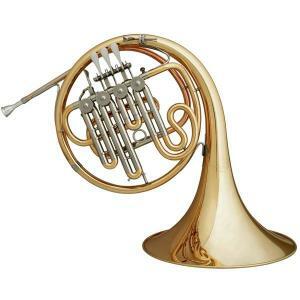 The Meister Hans Hoyer Single horns are made from only the best materials offered and with the knowledge of over 200 years of brass instrument manufacturing. While light and vibrant, they are still able to deliver the sound of a full-fledged orchestral instrument. The ease of both response and maneuverability allow the player to achieve success and, therefore, experience greater enjoyment playing the horn. The adjustable finger hook and the adjustable hand rest are standard and allow best ergonomics.